If your elderly parent is like most older adults, they want to continue living in their current house for years to come. In fact, according to AARP, 87 percent of people who are aged 65 or older hope to continue living right where they are. And, why wouldn’t they? Your parent’s house is probably full of their happiest memories, especially if they have lived there a long time. They are also in a familiar community with friends nearby. Unfortunately, changes that happen with age can make continuing to live at home difficult for some older adults. However, people who are caregivers to their aging parents can help them meet the goal of staying at home by making some changes to the home that let it age with them. Below are 4 tips caregivers can use to make it easier for their parents to age in place. As your parent gets older, there’s a good chance they’ll have trouble going up and down stairs. That’s a problem if they live in a two-story house where some of the main living space, like their bedroom or bathroom, is upstairs. If at all possible, convert rooms on the main floor so that the senior has at least a sitting area, bedroom, bathroom, and kitchen there. If that isn’t possible, consider installing a mechanical stairlift so they can continue to get upstairs. Bathrooms are a common place for falls to occur. Floors get slippery when water from the bath, shower, or sink gets on them. Seniors also have to sit down and stand up to use the toilet and step over the bathtub wall or shower threshold to bathe. To make the bathroom safer, install grab bars near the toilet and bath or shower. It may also be a good idea to install a zero-entry shower that does not require the older adult to step over anything to get in. Vision loss is common with age. Brighter lighting can make it easier for your parent to see when they are cooking, paying bills, or reading. 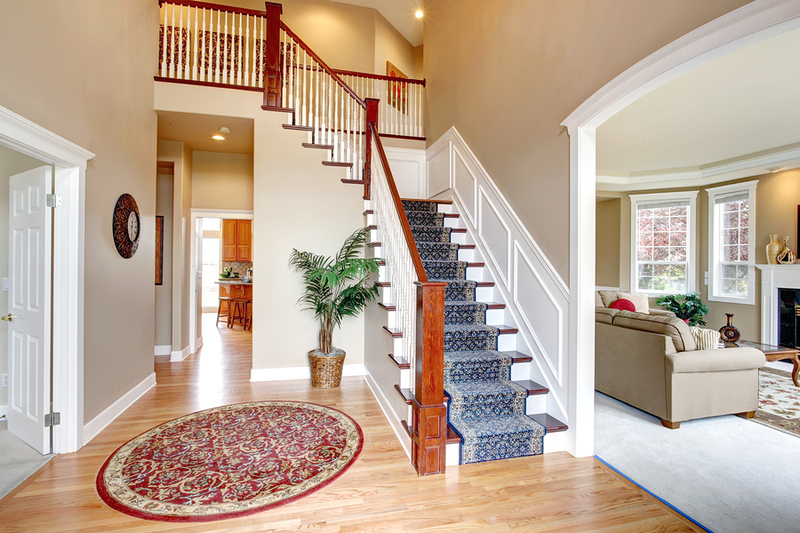 Good lighting can also prevent falls since it makes it easier to see items they could trip over. Caregivers should replace lightbulbs promptly to keep the house well lit. Caregivers may have no trouble turning faucet knobs, but that may not be the case for an older adult with arthritis. A better option is a touchless faucet or faucets with lever-style handles that don’t require the senior to grasp them. When you are in need of care for a senior loved one, consider caregivers provided by Golden Heart Senior Care. We have offices nationwide. For more information, call us today at (800) 601-2792.